[S33] 1850 Warren Co., Tn. Census. [S1481] Unknown volume, Tennessee State Marriages 1780 - 2002, unknown repository. [S357] James Lynn Parham, Pleasant Mangum and All His Kin, pg 262. [S1212] Siberiansunset, Mallard Family Tree. [S1211] Letter, P.S. Sistare to John L. Faulkner, 3 Mar 2009 and 10 Mar 2009. Birth*: Julia Mallory was born between 1822 and 1832 at Va. Marriage*: She married Samuel Hutchinson Faulkner, son of Thomas Faulkner and Mary Gillespie, circa 1855 at Autauga Co., Al. [S1872] Unknown volume, Arkansas County Marriages 1837-1957, unknown repository. He was the son of Pleasant Mangum and Amy Loyd. [S357] James Lynn Parham, Pleasant Mangum and All His Kin, page 251. [S185] Brent H. Holcomb, Granville Co., N.C. Marriages 1753-1868, pg 217. [S357] James Lynn Parham, Pleasant Mangum and All His Kin, pg 251. Death*: Benjamin Joseph Mangum died after 1930 at Bald Knob, White Co., AR. Death*: Cenith Rebecca Celia Mangum died before 1900 at NC . Birth*: Chaney Mangum was born circa 1784. [S21] N.C. Marriage Bonds unknown file number, pg 8879. Birth*: Elizabeth Mangum was born circa 1785 at NC. 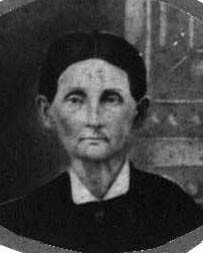 Birth*: Elizabeth Bettie Mangum was born in 1759 at NC. Marriage*: She married Emanuel Ford Faulkner, son of Emanuel Faulkner and Elizabeth Dickerson, on 20 December 1783 at Wilkes Co., NC; Marriage record from Wilkes Co., N.C.(s. of Surry Co.)Bonds. Witness was James Meadows. Death*: Elizabeth Bettie Mangum died on 11 November 1835 at Monroe Co., IN. [S357] James Lynn Parham, Pleasant Mangum and All His Kin, pg 64. Birth*: George Cecil Mangum was born on 3 July 1906 at AR. He was the son of Benjamin Joseph Mangum and Mima Floyd. [S2369] Unknown volume, Texas Death Certificates 1903-1982, www.Ancestry.com. [S1352] Unknown volume, Virginia Death Certificate, unknown repository. [S357] James Lynn Parham, Pleasant Mangum and All His Kin, pg 253. [S357] James Lynn Parham, Pleasant Mangum and All His Kin, pg 254. He was the son of Archibald Jefferson Mangum and Martha Parham. [S340] The Christian Sun, 3 Sep 1913. [S301] Unknown name of person unknown record type, Faulkner, John L. Compiled Data, unknown repository address. She was the daughter of Wiley Potter Mangum and Alethea "Lethy" Loyd. [S329] Letter, unknown author to John L. Faulkner, E:Mail dated 17 June 2003.